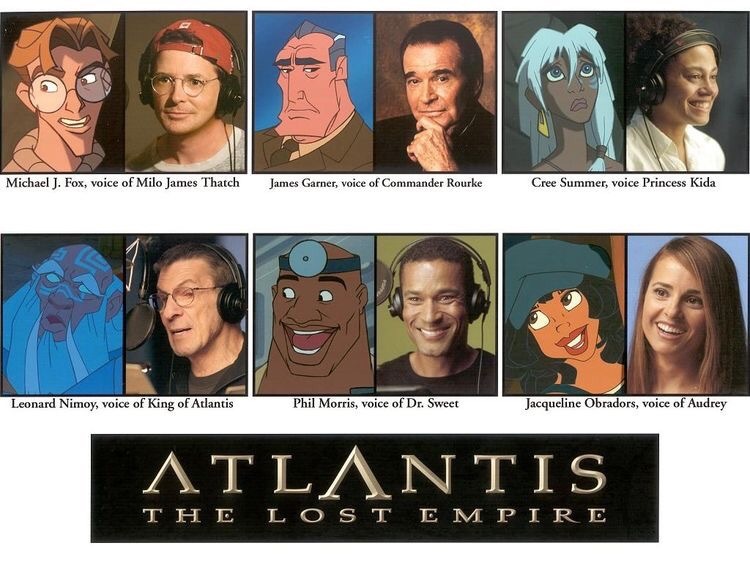 One of the best and one of the most underrated movies that came from Disney’s experimental phase. This movie is a favorite among many of my generation but doesn’t have as much recognition as some of the more classic princess movies. I love this movie. We get such a diverse and unique set of characters. My favorite characters by far are Milo and Kida. They are both very brave and fun characters. Milo is this scrawny, intelligent, and misunderstood young man and I love him. If I had a type it’d be him (and Newt Scamander, and Peeta Mellark, and all other sweetheart characters). He embarks on this adventure and becomes a braver and more self-assured person. Which is the most you can hope for in a character. This movie also is has well-placed humor and so much effort from the design team. 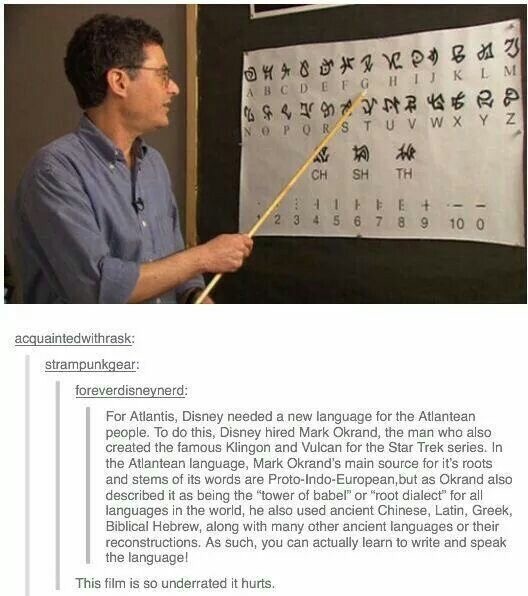 A whole language was created for the city of Atlantis. Overall, a great movie that everyone should watch at least once.